Whether you spray it or brush it on, paint can transform outdoor pieces from dull to delightful. Over time, outdoor furniture and accessories can become humdrum as weather takes its toll. Then you add a piece here, an accessory there. When it all gets to be too much, you don’t need to toss it all and start from scratch. Instead, get out the paint! Pull your deck, porch or patio together with a painted rug. Literally paint a rug on floor! Go with a simple rectangle with a contrasting border, a repeating stencil pattern, or bold graphics. Have fun and paint faux fringe on the ends. Let your imagination explore whimsical motifs or unexpected words. There’s no end to the possibilities. Express your personality with a fresh coat of paint on your front door. Take it a step further and paint your doormat to match the door – a double pop of color! Has your collection of metal art turned into a motley crew? Smooth out the rough spots with sand paper and then give them a new lease on life with primer followed by rust-inhibiting spray paint. Create a cohesive look by sticking with a single color or limited color palette. When working with multiple colors, use masking tape to create new patterns. Treat your outdoor furniture and planters to a fresh coat of paint that reflects your style. You’ll be surprised how a well-thought-out color palette can transform the same exact pieces into cool sophistication, whimsy, country charm, or trendsetting cool. For quick transformations at a low cost, you can’t beat paint! 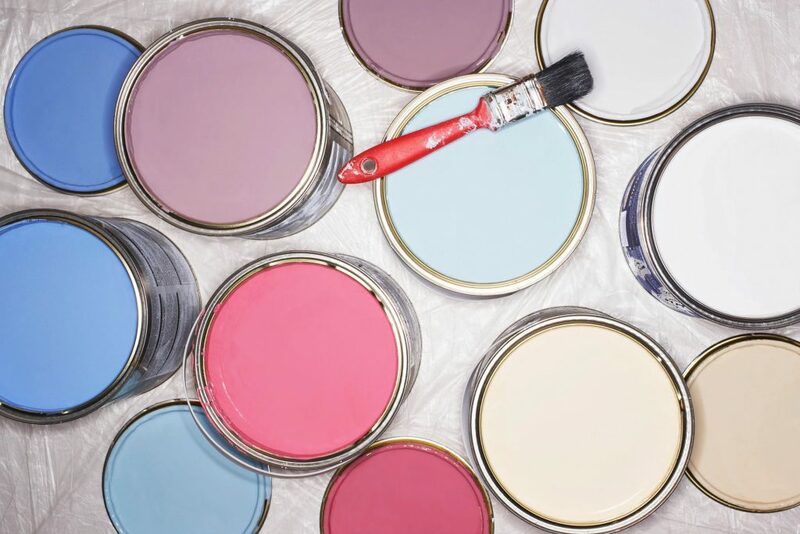 For bigger ventures like painting your whole house (or other home projects you want to do), be sure to check out a Consumers Home Equity Line of Credit. With competitive rates and terms, you’ll be enjoying your improvements sooner rather than later.